Mildred “Micki” Irene Graham, 74, died on Sunday, March 24, 2019 at her home in Libby of natural causes. She was born April 17, 1944 in Conrad, Montana. She was the youngest of 7 children born to Alex and Irene Graham. Micki moved to Libby in 1963 and went to work for St. Regis Lumber Company in 1966. She worked her way from the green chain to shift foreman for Champion International in the 80’s. Micki retired from Champion with its closing in the early 90’s. Micki married Gary Ward in 2003 and settled south of Libby. She liked to watch old movies and listen to country music. 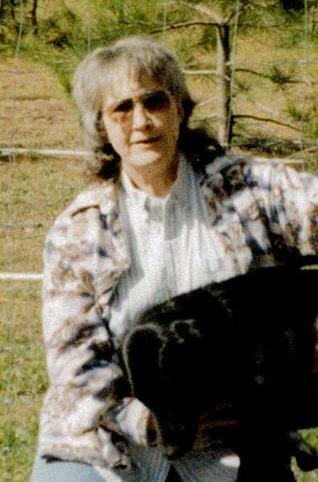 Micki was preceded in death by brothers I. V., and Robert; sisters Alene and Louise and granddaughter Chrissy Siefke. Survivors include her husband Gary Ward; son Kevin Siefke and wife Terri; a sister Marie Dykstra and husband Martin and a brother Lester Graham. Services will be at 1:00 p.m., Friday, March 29, 2019 at the Schnackenberg Funeral Home Chapel in Libby. Online condolences and memorials may be shared at www.schnackenbergfh.com.